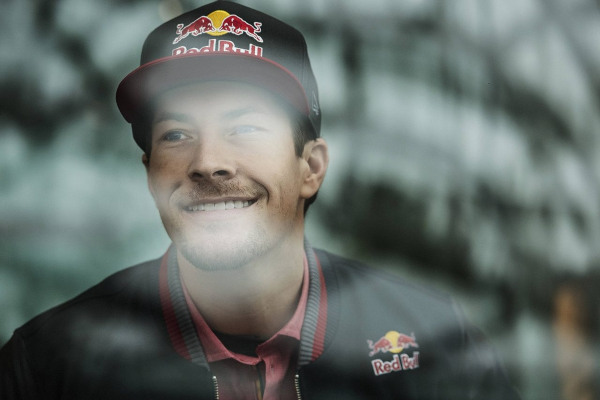 American motorcycle racing hero and 2006 MotoGP Champion Nicky Hayden has died at the far too young age of 35, several days after a crash with a car while he was bicycling. Following is the press release from American Honda Motor Co. UPDATE: Below that is his obituary. Born to Earl and Rose Hayden in what would be his lifelong hometown of Owensboro, Kentucky, on July 30, 1981, Hayden was the middle sibling to Tommy, Jenny, Roger and Kathleen. The family was a fixture on the amateur flat track scene, and the brothers eventually also took up club road racing in the early '90s, racing Honda RS125s with support and guidance from Moto Liberty. One year after turning pro, Nicky signed with American Honda in 1999 to race multiple AMA classes for Kevin Erion's Erion Racing satellite squad. By the end of a season-long title battle with Tommy, "The Kentucky Kid" earned the AMA Supersport crown, was named AMA Flat Track Rookie of the Year, and was promoted to Honda's factory effort to begin campaigning the premier AMA Superbike division. HRC signed Nicky to the factory Repsol Honda MotoGP squad for 2003, and the 2005 season saw him score an emotional debut victory at Laguna Seca, his home round. The following season, Hayden picked up a victory at Assen and repeated at Laguna Seca before securing the World Championship at the dramatic finale in Valencia, Spain. Nicky stayed with Repsol Honda for two more seasons and then switched to the factory Ducati team, where he rode for a total of five years before returning to Honda in 2014, this time with the Aspar satellite squad aboard "open"-specification machinery. Last year, Nicky transferred to the World Superbike series with the Ten Kate-run Red Bull Honda team, for whom he won a race in Malaysia and also contested the first five rounds of this season. Our thoughts are with Nicky's family, friends, team, competitors, and many, many fans during this difficult time. Click here for Red Bull Honda World Superbike Team's official announcement. "I was working on the Haydens' bikes when they came to Moto Liberty, and that's kind of when I got my start helping younger riders. Most of the kids that I've helped since then, I've used Nicky as the baseline because of his dedication, focus, and drive. To this day, I always ask the kids, 'What do you want to be when you grow up?' They all say, 'professional racer,' so I open my wallet and say, 'Congratulations, here's 5 bucks to ride today, you've achieved your goal.' Then I say, 'You know what Nicky Hayden said when I asked him that question at your age? He said he wanted to be a multi-time world champion.' I think that pretty much tells you everything you need to know about him." --Danny Walker supported the Hayden brothers' early amateur racing efforts through Moto Liberty. Since then he has worked with many top American racers and today runs American Supercamp riding school and Broaster Chicken RoadRace Factory, American Honda's effort in the MotoAmerica series. "Earl used to bug me at the races, saying I should hire his kids, and then one day my parts man, Brian Uchida, came into my office and laid down an article on the Hayden boys. I read it and said, 'Have you seen them?' He said, 'No, but I know people who have, and you need to hire Nicky.' And so I did, even though I didn't know anything except that the Haydens were nice people. He has to be one of the best riders I've ever worked with. He'd ask me from time to time if he was doing okay, and he would thank me just bout every time I saw him. I still get a card from that family every Christmas, and I've been retired for 16 years." --Gary Mathers was Motorcycle Sports Racing Manager when Nicky signed with American Honda in 1999. He retired in 2001. "The Hayden family has always been so impressive—both the parents and the kids—just really good for racing and the industry. He had so much respect for racing. After he won the AMA Supersport title, we asked him to concentrate on Superbike, and he said, 'Isn't there a responsibility to wear the No. 1?' A lot of riders are the opposite—'Do I have to ride the 600? '—but Nicky was thinking beyond the average racer. Ever since he left here for MotoGP, we've always looked for Nicky in the results. I understand he was immediately very popular at HRC for his effort and humility, and he quickly became a part of the international Honda family. His Laguna Seca wins and the World Championship were so special. There's a really strong feeling for the Haydens and Nicky at American Honda because he's been such a good person for this company." --Brian Uchida was the Haydens' first point of contact at American Honda when they ordered parts for their club-racing RS125s. Uchida also worked in various capacities for Nicky's AMA race teams and is still employed at American Honda, in the motorcycle accessory department. "I guess you always know when you've got somebody with a something a little bit more than is normal, and we realized right away with Nicky that there was something special going on. He was super-easy to work with, very enjoyable, never demanding, and very appreciative. I've enjoyed continuing to follow his career ever since." --Kevin Erion runs Erion Racing, for whom Nicky raced in 1999. Erion still assists American Honda on a number of projects. "The whole Honda family and Hayden family pretty much grew up together, so this is a crushing blow for all of us. Nicky was always the perfect one to have on the team. One time after he came into the official team, he'd had a bad day at the track, and I went over to him and said, 'Hey, don't feel so bad. There's always tomorrow.' He turned to me and said, 'No. I've got to feel this way. That's what's going to make me a champion. I've always got to do my best.' Even with me trying to lift the burden off of him, he kept putting it back on himself, and I think that's just who he was." --Ray Blank was the Vice President of American Honda during Nicky's AMA career. He retired in 2012. "From the very beginning, we knew Nicky was special. He was just so energetic, so likeable, a genuine kind of guy. He loved motorcycles and he loved racing. I'll never forget a story that his mom told me. She said Nicky couldn't wait to get home after school and get on his motorcycle and ride on their backyard track. She found out that sometimes he was skipping school to do that, so she had a heart-to-heart talk with him: 'I never want to see you skip school again unless it's something really bad, like you're sick.' He said, 'Okay Mom.' A few days later, she got a call from his teacher: 'Ms. Hayden, I just want to let you know Nicky went home because he had a headache.' Sure enough, Nicky's out back on his minibike, doing laps. I think that shows how committed Nicky was and how much he loved it, from the very beginning. That translated into what we came to see not only as a U.S. Superbike Champion, but a World Champion. Quite a few years ago, I had one of many great talks that I've enjoyed with Earl Hayden over the years, and he told me that as the boys were coming up racing, he told them it was important for them to apply themselves as hard as they could to be the best racers possible, but that wasn't the most important thing in life. The most important thing was to be good people with good hearts and good spirits. And I don't think I've ever seen anyone live that out better than Nicky has. That's just him: a good heart and a good spirit. Everybody loved him. He had a great charm about him and he was the kind of kid that was so special in his talent, but he never let it go to his head." --Gary Christopher was Senior Manager, Motorcycle Press and Motorcycle Sports when Nicky rode for American Honda. He retired in 2006. "Nicky was the next young-gun—the up-and-coming guy—but what I really remember is that he was a very polite young racer, and you had to respect that. He always had a quiet little smirk on his face, but there were no excuses with Nicky. He'd go out there and get the job done, and if he had a problem, he was pretty good at communicating with Merlyn [Plumlee, his late crew chief]. Those guys made a good team. It's just refreshing when you can work with somebody like Nicky because he's a professional and you knew what you got every time you were at the racetrack. He came to fight. Everyone at American Honda really respects the whole family." --Ray Plumb was a coordinator for Team Honda during Nicky's AMA career. He is now a District Service Manager based in his home state of Colorado. "With Nicky, I think of a man that has the burn to go motorcycle racing. One thing that stands out was probably in 2000, when we had a test at Willow Springs. He'd stay at my house, and at 4:30 a.m. we'd jump in my wife's car and drive up there. He'd test all day and we'd jump in the car and drive back. Anybody that knows Nick knows that he's a better passenger than a driver. He'd just sit there, and I'd rabbit on to him for hours, burning his eardrums out talking about the sky, motorcycles, whatever. I never took the highway—always all these back roads through fields and stuff. As usual, he had the seat reclined all the way back, and I was kind of beating around the bush about something he should be doing different or something. All of a sudden the seat comes up, and he says, 'You need to understand something right now: I have everything I've got into this, and I've only got one shot. If you see me making one mistake, you've got to tell me right away.' I said, 'All right, I'll do it.' And he laid the seat back down and that was it. That's what kind of guy he is. Every fiber of his being is dedicated to what he wants to achieve." --Dan Fahie was a mechanic at Team Honda beginning in 1998, by which point he had already been helping the Haydens for a year. He is currently the Senior Racing Manager of Motocross at Kawasaki. "It's so great to be around that quality of people. He was so witty, and I genuinely enjoyed my time with him, talking in the team room or whatever. We'd always share information about stuff that worked or didn't work, and there are things you make notes of when you're dicing together. But sometimes people assume too much that guys know what to do off the track, and the PR effect that has on Honda or people in management. You're not just being paid to race the bike; you've also got to represent the company and even yourself a little bit. That doesn't mean you can't have any fun and you just have to be a robot out there, and Nicky definitely didn't miss out on life; he just made sure he had the right people around him. Honestly, Nicky may have already had that down, but maybe I confirmed it for him. He was an awesome person and a world champion, and I'm very proud if I played a small part in that." --Miguel Duhamel was Nicky's teammate at Team Honda. "Nicky was always an integral part of our racing history, winning 600 and Superbike championships in America before becoming a MotoGP champion. But more than his racing success is just his relationship and how empowering that has been through his career. We were so fortunate to get him back after Ducati, and then growing our relationship into World Superbike has been great for the American Honda family. Our thoughts and wishes and prayers are with his family as they go through this difficult time. He has a great relationship with many companies and that's a tribute to what kind of individual he is. He's probably like one of five that are out there—or that have ever been out there. Many of us have great fond memories, but also great struggles. Obviously the fond ones are when you win a championship and are standing on the podium with him, but the challenges are what it took to get there—the crashes when you're going to the hospital with him. We had a lot of those before he became champion, and like with anyone you go through the thick and thin with, it forms a bond. --Chuck Miller became Motorcycle Sports Racing Manager beginning in 2001 and was in the role when Nicky won the AMA Superbike title in 2002. He is currently Senior Manager of National Sales. "I was working in the field when Nicky started in Supersport, and it was really the 'Race on Sunday, sell on Monday' thing—all the dealers would be talking about Nicky, and customers were on the floor buying a CBR. Then when he was doing Superbike and the transition into MotoGP, I was here at corporate and saw it from that perspective. You realize it's not just a local thing; he had that same impact everywhere around the world. I remember a dealer trip we had to Japan, and Nicky was going to be riding in MotoGP at Motegi the next day. Our V.P. at that point was pretty tight with Nicky, and asked him, 'Can you surprise the dealers?' You'd think this would be Nicky's last priority in the world at that point, but he went out of his way to come to Tokyo where we were staying and surprise the dealers. And when he does stuff like that, he always does it so naturally. It was never a matter of just showing up for Nicky; he was always present and engaged. So many other people here had deeper relationships with him, but he always made me feel like I knew him, just like he did with everyone else. We brought him up here to the fourth floor for a Q&A after he won the MotoGP championship, and it was like he was in our living room. I see Nicky and I think inspiration, determination, and family. We use that word so much with the Haydens, but it really is a family affair with them, like an extended team. Everybody here is praying for Nicky, and we all have his whole family and his fiancé Jackie in our hearts. There's nobody walking around here for whom that's not the case." Throughout it all, family was Nicky’s anchor. Many Americans who race internationally opt to relocate overseas, but Nicky always preferred to return home between events. Well into his professional career, he resided in an apartment above his parents’ garage, and even after purchasing his own home nearby, he religiously showed up for his mother’s 6 o’clock dinners when he wasn't traveling. Several years ago, he purchased and refurbished an old building on an Owensboro lake, and what he dubbed Victory Lane Lodge became the family’s preferred location for functions of all types, from Sunday get-togethers to weddings. He loved children and was a model uncle, and friends and family say he was never happier than after meeting girlfriend Jackie, with whom he became engaged last year.